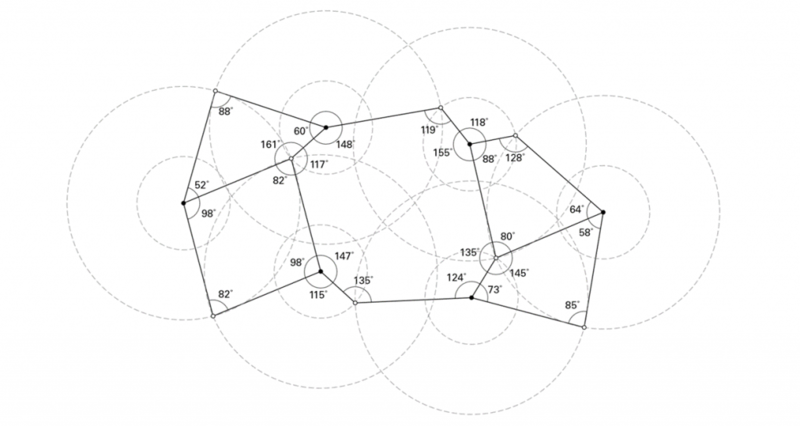 During the Fall Semester of 2015, the Rice School of Architecture hosted a “Mini-Charrette” 72 hour competition. Students, given approximately three days, needed to respond to a design prompt and space with a creative idea, render and develop that idea into a design, and then present to a panel of judges. The teams each approached the problem of developing a creative outdoor learning space for a piece of land between Fondren Library Reading Room and the Humanities Building. After deliberations, the jury, including Rice School of Architecture Dean Sarah Whiting, Rice University President David Leebron, and Vice President for Administration Kevin Kirby selected the team that they felt responded in the best way to the prompt. Our idea, playfully called “The Hangout”, was selected as the winner. Additionally, the organizers and jury felt our design was strong enough to be physically realized in the space prompted. What started off as a weekend competition turned into a year of hard work and learning, culminating in the project completion on October 13, 2016. 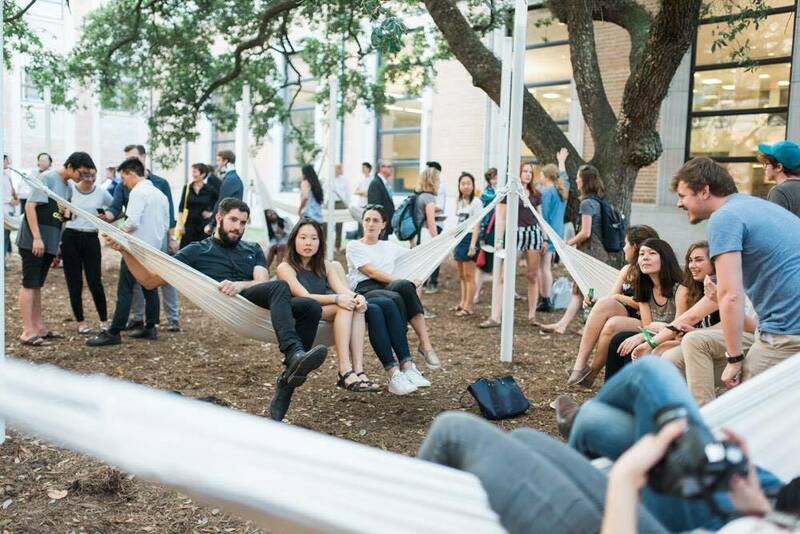 The Hangout now serves as a beautiful testament to student intellect, creativity, and passion, and a place for all members of the Rice community to study, relax, and generally hangout. We set out to design a space that would be unique and empowering to users. We wanted to challenge the norm of a space for learning, by allowing for creativity in use by individuals. Every person thinks uniquely, acts differently, and learns in a way that is completely their own. Therefore our space needed to empower students, our peers, to use it in a way that fit their desires. In our design process, we realized that seeking to control the spatial function would be foolish in vision and in practice. Instead we needed to anticipate fluidity by allowing it. 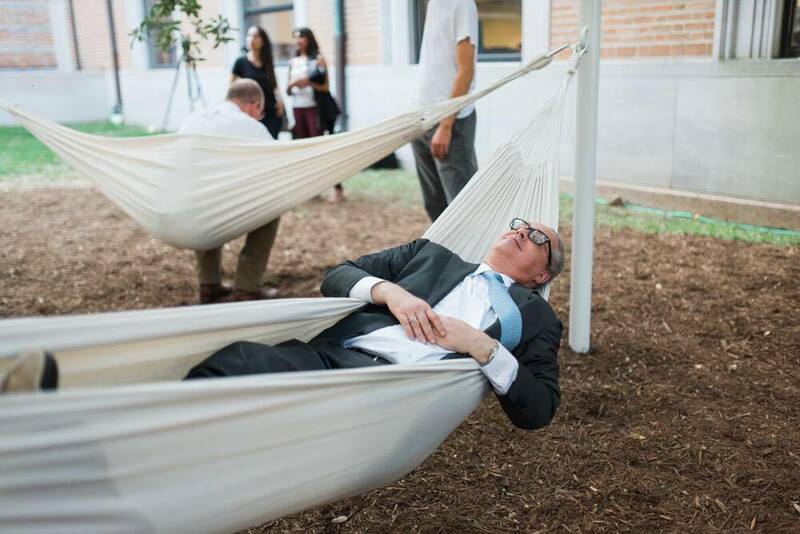 Ultimately, The Hangout is a testament to the initiative, thoughtfulness, and brilliance of Rice University students.